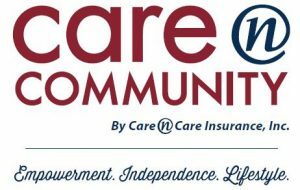 Care N’ Care’s new community outreach initiative designed to engage local-area seniors in programs and activities that increase independence, reduce isolation and encourage healthy living. This new grassroots effort, appropriately called Care N’ Community, is intended to work hand-in-hand with local community partners to create an intergenerational support system that promotes well-being, empowerment and independence for safe and vibrant aging. In doing so Care N’ Care is focusing on the link between strong communities, senior involvement and population health in ways that encourage local communities to become more involved and innovative in their efforts to serve local seniors.